Fever and joint pain are typically indications that the body is fighting some type of infection. The body raises its temperature to kill off bacteria, and white blood cells that normally tend to joint and muscle function are diverted to help fight the infection. When a child has a fever and joint pain for more than two days, it could be the result of Rheumatic fever. Consult a medical professional immediately if this is possibly the case. Rheumatic fever results from an untreated bacterial infection in the throat, commonly known as strep. Rheumatic fever can damage a child’s heart and lead to serious lifelong complications. It is extremely important to recognize the symptoms of strep throat and bring your child to a medical professional if these symptoms are evident. Fever and joint pain can also be signs of juvenile rheumatoid arthritis (JRA). JRA affects more than 50,000 kids in the US alone and is considered an autoimmune disease. Unfortunately, there is not enough known about the causes of JRA to offer guidance on prevention. Once a diagnosis is made, cortisone or other prescription medications may be required for treatment, in addition to over-the-counter anti-inflammatory medicines like ibuprofen or naproxen. 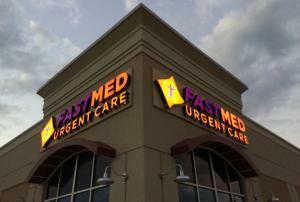 If you or your child are suffering with fever and joint pain, come find relief at FastMed Urgent Care. We provide the highest standard of compassionate, quality healthcare delivered by board-certified medical professionals. FastMed Cares, our philanthropic mission in the community, starts with creating better lives for kids. If your child has a fever and joint pain, come in and let us help them get relief. We accept all major insurance plans, including Medicare and Medicaid, so check out our Insurance page to verify that your plan is accepted.